Barri had competed in almost 100 matches in countries including Egypt and Venezuela as “Celtic Warrior” and “Smackdown Warrior”. Summer 2009: WWE signed UK Gladiator Barri Griffiths AKA Goliath and he was assigned to FCW in Tampa, Florida. February 2010: Barri Griffiths work visa cleared and he relocated to Tampa to work as “Mason Ryan” in FCW. March 25, 2010 – Florida Championship Wrestling: Cable Jones and Drake Brewer defeated Conrad Tanner and Mason Ryan. April 8, 2010 – Florida Championship Wrestling: Mason Ryan defeated Derrick Bateman. April 15, 2010 – Florida Championship Wrestling: Byron Saxton and Mason Ryan defeated Johnny Curtis and Tyler Reks. April 29, 2010 – Florida Championship Wrestling: Mason Ryan defeated Rudy Parker. May 5, 2010 – Florida Championship Wrestling: Johnny Prime defeated Mason Ryan. May 13, 2010 – Florida Championship Wrestling: Hunico defeated Mason Ryan. May 20, 2010 – Florida Championship Wrestling: Mason Ryan defeated Wes Brisco. June 9, 2010 – FCW: Curt Hawkins, Vance Archer and Mason Ryan defeated Percy Watson, Johnny Curtis and Michael Magillicutty. June 16, 2010 – Florida Championship Wrestling: Mason Ryan defeated Rudy Parker. June 17, 2010 – FCW Live Event: Mason Ryan defeated Rhys Ali with a Blackhole Slam. June 24, 2010 – FCW: Mason Ryan defeated Devin Allen. July 1, 2010 – FCW: Matt Martlaro interviewed Mason Ryan (wants a real challenge and had his eye on the FCW championship. July 14, 2010 – FCW: Mason Ryan won a 30 man Battle Royal which included most of the FCW roster and all the NXT Rookies. July 22, 2010 – FCW: Matt Martlaro interviewed Mason Ryan (going after the FCW championship). July 29, 2010 – FCW: Mason Ryan, Alex Riley, Mike McGillicutty and Husky Harris defeated Los Aviadores (Hunico, Epico, Kaval and Johnny Curtis). August 5, 2010 – FCW: Epico, Hunico, Johnny Curtis and Kaval defeated Mason Ryan, Husky Harris, Michael McGillicutty and Alex Riley in an elimination match (Kaval was the sole survivor). August 8, 2010 – FCW: Mason Ryan defeated Alex Riley and Johnny Curtis in a Triple Threat Match to win the FCW heavyweight title. August 15, 2010 – FCW: “One Night Stand General Manager” FCW champion Mason Ryan (booked a 15 minute challenge between Alex Riley vs. Kaval and he might give the winner a title shot. August 19, 2010 – FCW: Eli Cottonwood defeated Alex Riley in the Liviana Classic Final Over-The-Top-Rope Challenge (FCW champion Mason Ryan attacked Cottonwood after the match). August 26, 2010 – FCW: Mason Ryan defeated Eli Cottonwood to retain the FCW heavyweight title. August 29, 2010 – FCW: Mason Ryan defeated Bo Rotundo via tapout to retain the FCW Championship! September 12, 2010 – FCW: Derrick Bateman and Johnny Curtis defeated The Dudebusters (Trent Barreta and Caylen Croft) to retain the FCW Florida Tag Team titles (After the match; FCW Heavyweight champion Mason Ryan attacked Curtis and Bateman, busting Bateman open in the process). September 15, 2010 – FCW: Mason Ryan defeated Trent Barreta by submission to retain the FCW Florida heavyweight title. September 19, 2010 – FCW: Derrick Bateman defeated FCW Florida Heavyweight champion Mason Ryan in a Non-title match after Ryan was distracted by Johnny Curtis. September 21, 2010 – FCW: Johnny Curtis and Derrick Bateman vs Byron Saxton and Mason Ryan was turned into a triple threat match, Abraham Washington and Bo Rotundo defeated Johnny Curtis and Derrick Bateman and Byron Saxton and Mason Ryan in a 3-WAY tag team match. September 23, 2010 – FCW: Matt Martalo did a sit down interview with Byron Saxton (talked about aligning himself with FCW champion Mason Ryan, and promises that he will become a WWE Superstar), Howard Finkel came out to announce the next match… FCW champion Mason Ryan defeated Alex Riley by submission with his Torture Rack. September 26, 2010 – FCW: Mason Ryan defeated Johnny Curtis to retain the FCW Florida heavyweight title (While the referee was knocked out, Curtis hit his finishing top-rope leg drop but no one was there to count the fall. Announcer Byron Saxton then came down the ring and hit Curtis while clenching a roll of quarters. The referee was revived and Ryan secured the pinfall). October 28, 2010 – FCW: Mason Ryan (with Byron Saxton) defeated Percy Watson to retain the FCW Championship. November 12, 2010 – SmackDown! : Mason Ryan defeated Chavo Guerrero in a dark match. November 20, 2010 – FCW: Mason Ryan defeated Lucky Cannon to retain the FCW championship. December 2, 2010 – FCW: FCW Florida Heavyweight champion Mason Ryan defeated Jackson Andrews (w/Brodius Clay). December 17, 2010 – FCW: Mason Ryan defeated Johnny Curtis to retain the FCW championship. December 30, 2010 – FCW: Mason Ryan defeated WWE United States champion Daniel Bryan in a Non-title match. January 3, 2011 – RAW: Mason Ryan defeated Primo Colon in a dark match. January 6, 2011 – FCW: Bo Rotundo b FCW Heavyweight champion Mason Ryan and Roman Leakee and Calvin Raines in a Non-title 4-WAY. January 16, 2011 – FCW: FCW Heavyweight champion Mason Ryan defeated Calvin Raines to retain the title. January 30, 2011 – FCW: FCW heavyweight champion Mason Ryan defeated Jackson Andrews to retain the title. January 30, 2011 – Royal Rumble: Mason Ryan entered the Royal Rumble at #20 but was soon eliminated by John Cena. ~~~Mason Ryan had a powerful outting, managing to eliminate both the Great Khali and the returning Booker T.
February 7, 2011 – RAW: Mason Ryan defeated R-Truth by submission (decision then reversed by referee). February 13 2011 – FCW: FCW Heavyweight Champion Mason Ryan defeated Calvin Raines to retain the title. March 13, 2011 – FCW (Taped): Bo Rotundo defeated Mason Ryan to win the Heavyweight Title. March 13, 2011 – Live Event: John Cena defeated CM Punk (w Mason Ryan). March 14, 2011 – RAW: Randy Orton defeated Mason Ryan with an RKO and then took him out with a swift punt kick to the head! March 25, 2011 – FCW Live Event: Mason Ryan won a FCW Battle Royal. April 25, 2011 – RAW: Team SmackDown! (Kane, the Big Show, Drew McIntyre, Cody Rhodes, Ezekiel Jackson, Sheamus, Ted DiBiase, Yoshi Tatsu, Mason Ryan, Daniel Bryan) defeated Team RAW (Vladimir Kozlov, Santino Marella, Evan Bourne, Mark Henry, Heath Slater, Chris Masters, Wade Barrett, Kofi Kingston, Brodus Clay): the final four were Big Show and Kofi Kingston for SD! and Mason Ryan and Evan Bourne for RAW…. Big Show and Kofi Kingston won and earned the 1st pick of the 2011 draft. in a Battle Royal to win a draft pick. May 2, 2011 – RAW: Kane defeated Mason Ryan by disqualification. May 6, 2011 – Live Event: Mason Ryan defeated Primo Colon. May 8, 2011 – Live Event: Mason Ryan defeated Primo Colon. May 9, 2011 – RAW: Kane defeated Mason Ryan by disqualification. May 10, 2011 – Live Event: The Big Show defeated Mason Ryan. May 11, 2011 – Live Event: Mason Ryan defeated Primo Colon. May 16, 2011 – RAW: The New Nexus (David Otunga and Michael McGillicutty w/CM Punk and Mason Ryan) defeated WWE Tag Team Champions Kane and The Big Show in a non-title match. May 22, 2011 – FCW: Mason Ryan defeated Monty Lynch. May 27, 2011 – Live Event: Mason Ryan defeated Zack Ryder. June 20, 2011 – RAW: Mason Ryan defeated Evan Bourne. August 25, 2011 – Superstars: Mason Ryan defeated Drew McIntyre. September 8, 2011 – Superstars: Mason Ryan defeated JTG. September 12, 2011 – RAW: Mason Ryan defeated Primo Colon in a dark match. September 22, 2011 – Superstars: Mason Ryan defeated Drew McIntyre. October 3, 2011 – RAW: Mason Ryan participated in a battle royal won by Santino Marella. October 12-13, 2011 – WWE Live Event: Mason Ryan defeated Primo Colon. October 17, 2011 – RAW: Mason Ryan defeated Dolph Ziggler by disqualification. November 7, 2011 – RAW: Mason Ryan defeated JTG. November 11-12, 2011 – WWE Live Event: Mason Ryan defeated Curt Hawkins. November 18, 2011 – Smackdown! : Mason Ryan defeated Jack Swagger. ~~~Randy Orton and Sheamus and Mason Ryan and Kofi Kingston and Sin Cara. November 30, 2011 – WWE Live Event: Mason Ryan defeated Jack Swagger. December 1, 2011 – WWE Live Event: WWE United States champion Dolph Ziggler defeated Mason Ryan and Drew McIntyre in a 3-way to retain the title. December 3, 2011 – WWE Live Event: Mason Ryan defeated Jack Swagger. December 8, 2011 – Superstars: Mason Ryan defeated Drew McIntyre. December 10, 2011 – WWE Live Event: Mason Ryan and Alex Riley defeated Dolph Ziggler and Jack Swagger. December 29, 2011 – WWE Live Event: Mason Ryan and Alex Riley defeated Curt Hawkins and Tyler Reks. December 30, 2011 – WWE Live Event: Mason Ryan, Alex Riley and Leo Kruger defeated Curt Hawkins, Tyler Reks and JTG. January 5, 2012 – Superstars: Mason Ryan defeated JTG. January 6-8, 2012 – WWE Live Event: Mason Ryan and Alex Riley defeated Michael McGillicutty and Antonio Cesaro. January 19, 2012 – Superstars: Mason Ryan and Santino Marella defeated Tyler Reks and Curt Hawkins. January 20-21, 2012 – WWE Live Event: WWE tag team champions Epico and Primo Colon defeated Mason Ryan and Kofi Kingston to retain the titles. February 9, 2012 – WWE Live Event: WWE tag team champions Epico and Primo Colon defeated Mason Ryan and Santino Marella in a non-title match. February 11, 2012 – WWE Live Event: WWE tag team champions Epico and Primo Colon defeated Mason Ryan and Alex Riley to retain the titles. February 16, 2012 – Superstars: Jack Swagger w Vickie Guerrero defeated Mason Ryan. February 23, 2012 – Superstars: Tyler Reks w Curt Hawkins defeated Mason Ryan. February 24, 2012 – WWE Live Event: WWE tag team champions Epico and Primo Colon defeated Mason Ryan and Santino Marella to retain the titles. February 25-26, 2012 – WWE Live Event: WWE tag team champions Epico and Primo Colon defeated Mason Ryan and Alex Riley to retain the titles. March 2, 2012 – WWE Live Event: WWE tag team champions Epico and Primo Colon defeated Mason Ryan and Santino Marella to retain the titles. March 3-4, 2012 – WWE Live Event: WWE United States champion Jack Swagger defeated Mason Ryan to retain the title. March 18, 2012 – WWE Live Event: Alberto Del Rio (Return) defeated Mason Ryan. March 22, 2012 – Superstars: WWE tag team champions Epico and Primo Colon defeated Mason Ryan and Alex Riley in a non-title match. March 24, 2012 – WWE Live Event: WWE tag team champions Epico and Primo Colon defeated Mason Ryan and Zack Ryder and Alberto Del Rio and Ricardo Rodriguez in a 3-way match to retain the titles. March 25, 2012 – WWE Live Event: WWE tag team champions Epico and Primo Colon defeated Mason Ryan and Zack Ryder to retain the titles. April 19-21, 2012 – WWE Live Event: Mason Ryan and The Usos defeated Curt Hawkins, Tyler Reks and Percy Watson. May 3, 2012 – Superstars: Dolph Ziggler defeated Mason Ryan. May 25-26, 2012 – WWE Live Event: Mason Ryan defeated Alex Riley. June 6-9, 2012 – WWE Live Event: Mason Ryan defeated Michael McGillicutty. June 20, 2012 – FCW: Mason Ryan defeated CJ Parker. June 22, 2012 – FCW: FCW champion Bo Dallas defeated Mason Ryan to retain the title. June 29, 2012 – FCW: Mason Ryan defeated Joel Pettifer. January 9, 2013 – NXT Live Event: Mason Ryan (Return) defeated Kassius Ohno. January 12, 2013 – NXT Live Event: Mason Ryan defeated Percy Watson. January 30, 2013 – NXT: Mason Ryan defeated Sakamoto. February 13-14, 2013 – NXT Live Event: Mason Ryan defeated Percy Watson. February 24, 2013 – NXT Live Event: Mason Ryan defeated Brandon Travon. February 28, 2013 – NXT Live Event: Mason Ryan defeated Axl Keegan. March 15, 2013 – NXT Live Event: Mason Ryan defeated Dante Dash. March 27, 2013 – NXT Live Event: Mason Ryan defeated Alexander Rusev. April 6, 2013 – Wrestlemania Fan Axxess: Mason Ryan defeated Percy Watson. May 16, 2013 – NXT Live Event: Dante Dash defeated Mason Ryan. May 23, 2013 – NXT: Mason Ryan defeated Enzo Amore. May 24-25, 2013 – NXT Live Event: Leo Kruger defeated Mason Ryan. June 6, 2013 – NXT: Mason Ryan defeated Colin Cassady. June 8-9, 2013 – WWE Live Event: Mason Ryan defeated Brad Maddox. June 28, 2013 – NXT Live Event: Mason Ryan defeated Camacho. July 11, 2013 – NXT: Colin Cassady and Enzo Amore defeated Mason Ryan in a “2-on-1” handicap match. August 14, 2013 – NXT: Mason Ryan defeated Scott Dawson. August 24, 2013 – NXT Live Event: Mason Ryan defeated Colin Cassady. September 5, 2013 – NXT: Alexander Rusev (w/ Scott Dawson and Sylvester Lefort) defeated Mason Ryan. November 13, 2013 – NXT: Mason Ryan defeated Danny Burch. January 2, 2014 – NXT: Mason Ryan refused to join Sylvester LeFort. Tyler Breeze defeated Mason Ryan after distraction from Sylvester LeFort. January 3, 2014 – NXT Live Event: Jason Jordan and Mason Ryan defeated Oliver Grey (RETURN) and Danny Burch. January 18, 2014 – NXT Live Event: Marcus Louis and Sylvester LeFort defeated Jason Jordan and Mason Ryan. February 6, 2014 – NXT: Mason Ryan defeated Sylvester LeFort. February 15, 2014 – NXT Live Event: Mason Ryan defeated Slate Randall. February 27, 2014 – NXT: Mason Ryan defeated Sylvester LeFort in a dark match. March 21, 2014 – NXT Live Event: Mason Ryan defeated Troy McClain. April 19, 2014 – NXT Live Event: Mason Ryan defeated Solomon Crowe. April 24, 2014 – NXT: Tyson Kidd defeated Mason Ryan. May 8, 2014 – NXT: Mason Ryan was in the #1 contenders battle royal for the NXT title won by Tyler Breeze, Tyson Kidd and Sami Zayn. Spring 2014: Mason Ryan is released by WWE. June 7, 2014 – PWS: Mason Ryan defeated The Lifeguard. August 1, 2014 – NWA SPW: Mason Ryan defeated Tweedle Die in a body slam contest. Kahagas defeated Mason Ryan. August 2, 2014 – NWA SPW: Mason Ryan won a 10 man battle royal. August 30, 2014 – FCCW: Luke Gallows defeated Mason Ryan. September 5, 2014 – FIP: Mason Ryan, Michael Tarver and Shaun Ricker defeated Blake Edwards Belakus, Jesus De Leon and The American Viking in the 1st round. Jay Cruz, Jay Rios and Lince Dorado defeated Mason Ryan, Michael Tarver and Shaun Ricker in the semi-finals. September 6, 2014 – WWC: WWC Universal champion The Mighty Ursus defeated Mason Ryan to retain the title. Mason Ryan was also in the Carlos Colon hall of fame battle royal won by The Mighty Ursus. September 26, 2014 – NWA SPW: Mason Ryan vs. Kahagas ended in a no contest. October 19, 2014 – wXw: John Klinger defeated Mason Ryan to win the wXw shotgun title. Mason Ryan defeated Chris Rocke. October 24, 2014 – Welsh Wrestling: Mason Ryan defeated Bison Brody. October 25, 2014 – Welsh Wrestling: Mason Ryan defeated Grizzly Jones. October 27, 2014 – Welsh Wrestling: Mason Ryan and Jon Titan defeated Tagori and Tommy Dean. Mason Ryan defeated Tommy Dean. Mason Ryan defeated Kade Callous. October 28, 2014 – Welsh Wrestling: Mason Ryan defeated Kade Callous. October 29, 2014 – Welsh Wrestling: Mason Ryan defeated Grizzly Jones. October 30, 2014 – Welsh Wrestling: Mason Ryan defeated Kade Callous. 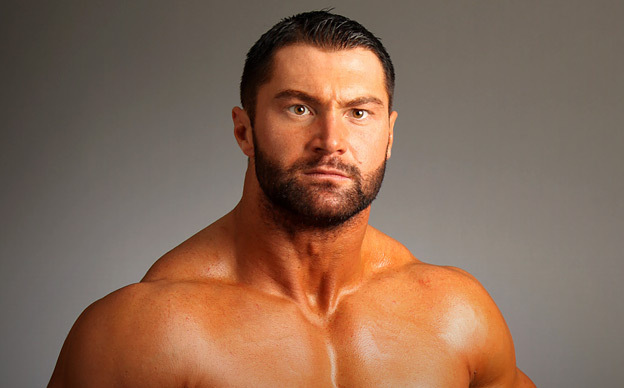 November 1, 2014 – Welsh Wrestling: Mason Ryan defeated Kade Callous. November 8, 2014 – Wrestling.IE Britain’s Best Of The Best: Wrestling.IE champion Dunkan Disorderly defeated Mason Ryan, Magnus and Drew Galloway in a 4-way match to retain the title. January 3, 2015 – IPW:UK: Dave Mastiff defeated Mason Ryan. January 4, 2015 – ENDVR8: Mason Ryan vs. William Eaver ended in a no contest. January 10, 2015 – DSCW: Cyrus The Destroyer defeated Mason Ryan. February 6, 2015 – NWA SPW: Mason Ryan defeated Deimos. April 3, 2015 – DSCW: Mason Ryan defeated Cyrus The Destroyer in a no disqualification match. April 10, 2015 – HOPE: Mason Ryan defeated Barricade. April 14, 2015 – QPW: QPW champion Chris Raaber defeated Mason Ryan to retain the title. April 17, 2015 – HOPE: Mason Ryan and Joseph Conners defeated Bam Bam Barton and LJ Heron. April 19, 2015 – ENDVR 10: Eddie Dennis defeated Mason Ryan. May 3, 2015 – wXw: wXw world tag team champions James Storm and Mike Schwarz defeated Mason Ryan and Tyler Bate & Lucas Di Leo and Peter Fischer in a 3-way to retain the titles.